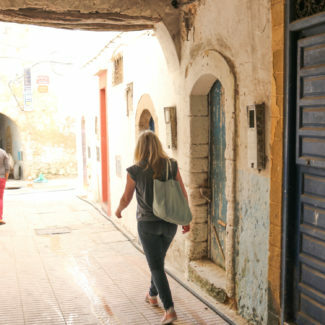 Glamping in Morocco is one of my all-time favorite travel experiences. 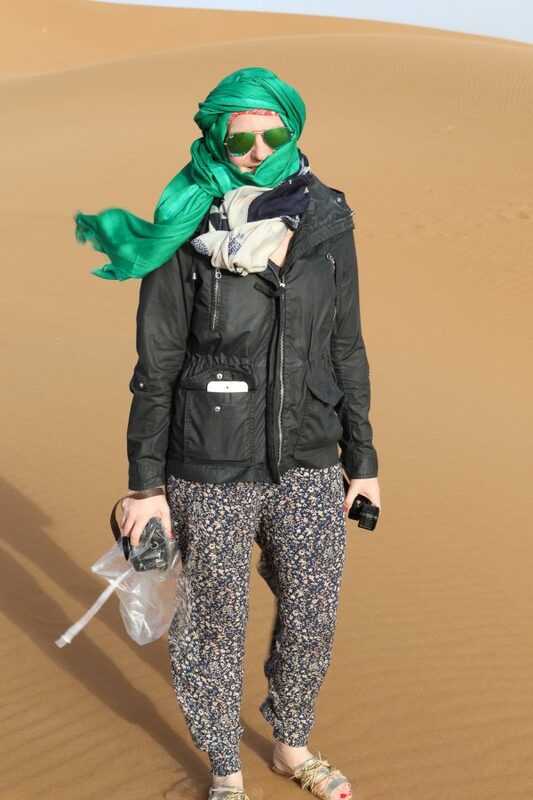 We traveled deep into the Sahara Desert to a luxurious tent village, where we proceeded to have the time of our lives. 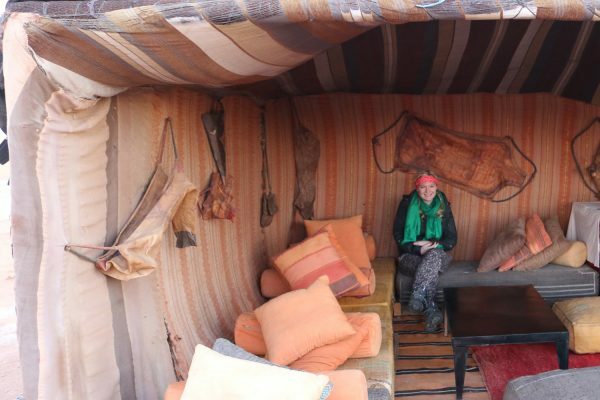 Even my mother, who tends to be less adventurous loved glamping in Morocco. 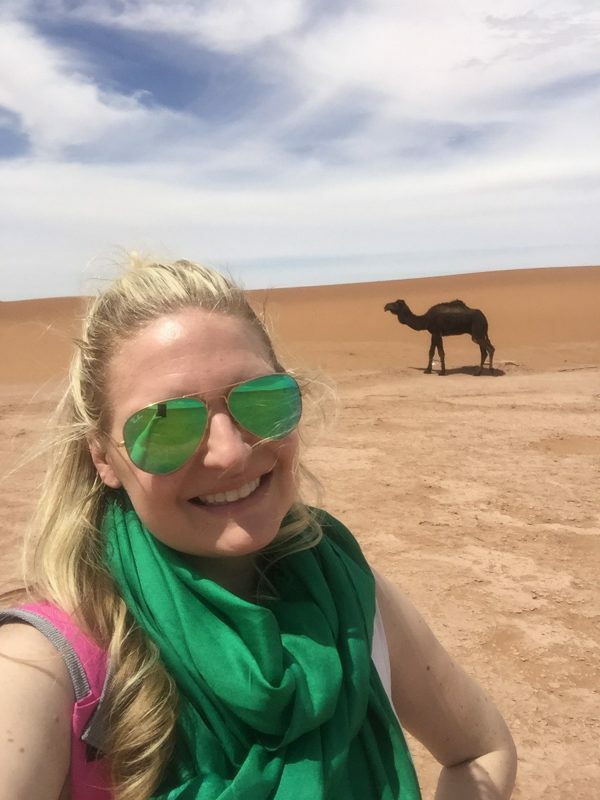 Glamping in Morocco’s Sahara Desert is just as insanely cool as it sounds, and it was one of my absolute favorite travel experiences. I loved every second and would go back in a heartbeat. I don’t go camping, but this wasn’t camping. 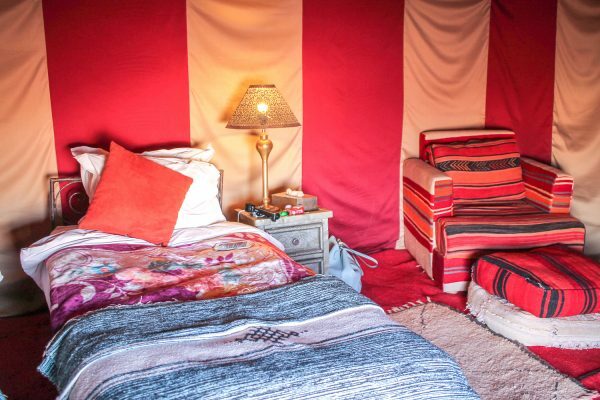 We stayed in luxury tents complete with rugs, beds, lighting, and “bathrooms”, and we were surrounded by massive sand dunes. 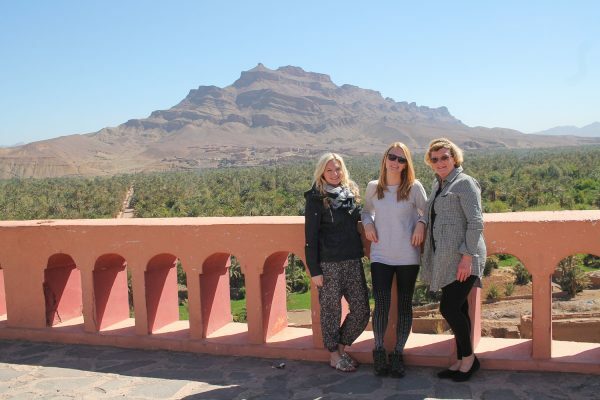 We had friendly guides to make sure we were entertained and we enjoyed three wonderful meals each day. Plus, there was an open bar. It was an elevated camping experience in an out of this world setting. 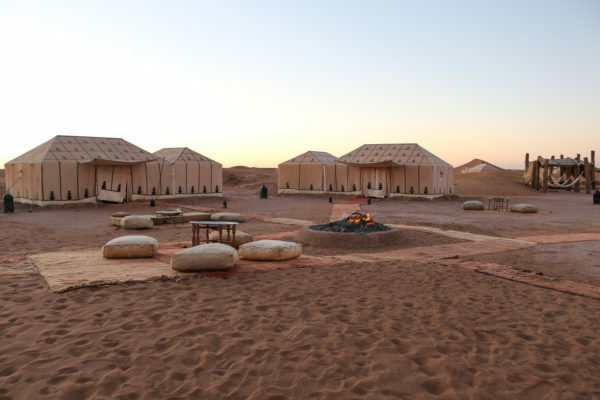 There are lots of camps in the Sahara Desert, but we wanted to stay at the most luxurious camp (especially since we were bringing our Mom). 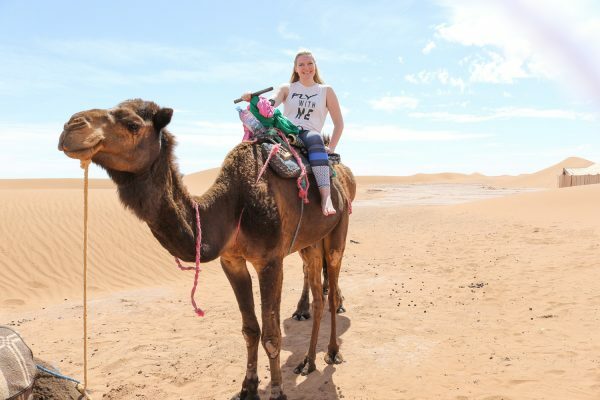 My sister, Kelly, did all of the research and her friend recommended the Erg Chigaga Luxury Desert Camp. 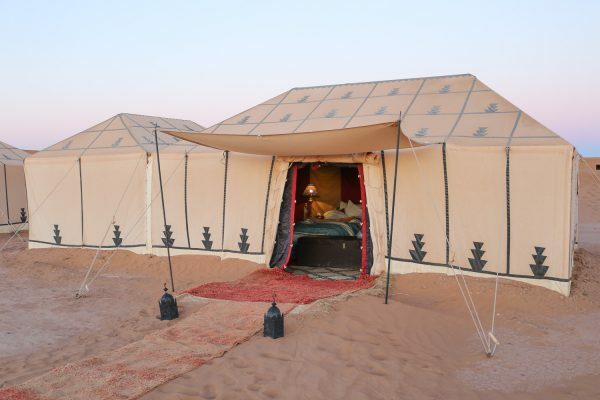 The camp has 10 luxury tents and is about a 2-hour drive into the desert. Our tent had two twin beds, wall to wall rugs, a sitting area, and a second smaller tent with improvised bathroom with a compost toilet and an area where you could use buckets of water to freshen up. Hot water was available. The camp also had several communal areas. There was a restaurant tent where we ate dinner each night, and an outdoor seating area where we had breakfast and lunch. There were a few outdoor areas for lounging too – a spot with hammocks, an outdoor living room, and some lounge chairs. Another tent had an open bar filled with beer, wine, and some hard alcohol, along with another area to lounge – this was the spot to be when the wind kicked up. I do want to be upfront about one important thing. 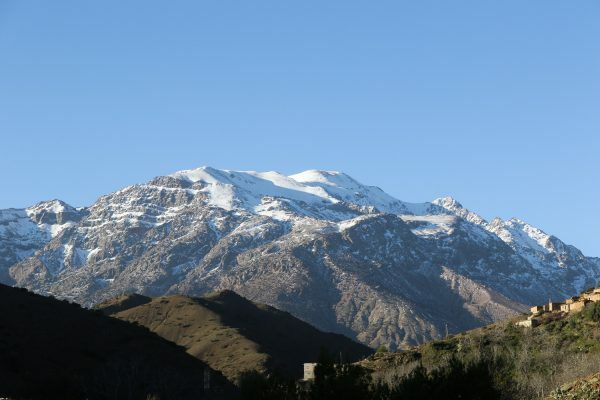 This might be obvious, but getting out into the desert isn’t easy – it was a 9-hour drive from Marrakech through the Atlas Mountains. The drive through the mountains was beautiful, which made the drive more enjoyable. 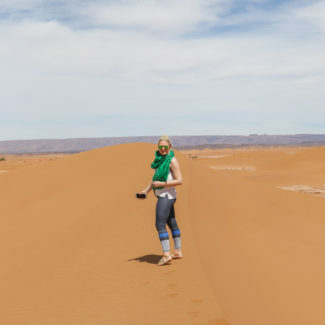 It took about 7 hours before we reached the desert, which had three different landscapes: brush, rocks, and massive sand dunes. One thing that seriously impressed us was that our driver, Abdoul, was able to easily find the camp. There are no roads, no real landmarks, just a couple of hours of driving into the desert to find the camp. The camp’s drivers navigate their way through the desert with precision that is impossible to describe. Even Nick, who co-owns the camp, says he relies on the drivers to get him there. 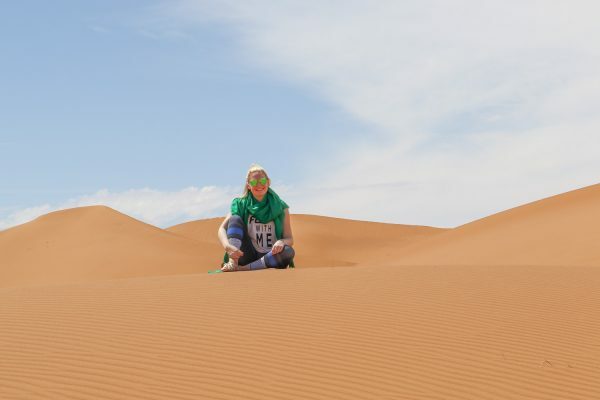 All of the drivers and camp guides are from the desert and they say that they have a special GPS in their brains. They learn the rocks, trees, and sand dunes and use them as landmarks to navigate. It was mindboggling. 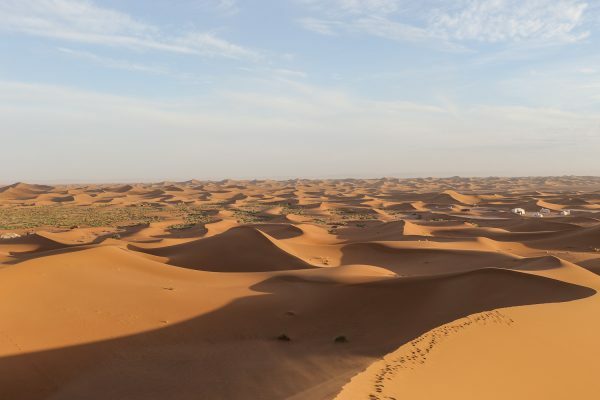 The Erg Chigaga Luxury Desert Camp is a bit further out into the desert than some of the other camps, but it has a prime location near the big sand dunes. 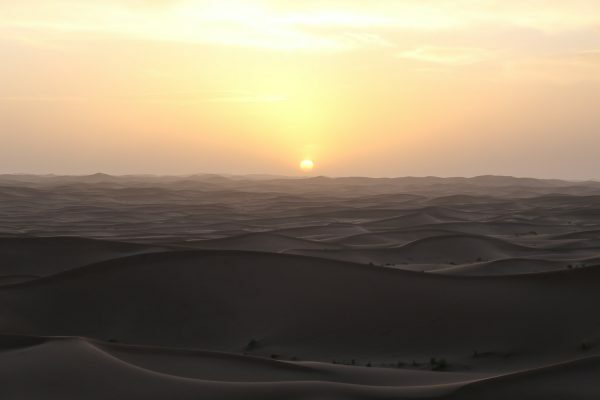 The views were incredible and climbing the dunes to watch the sunset was a highlight each day. The camp was luxurious, but you still need to pack wisely. 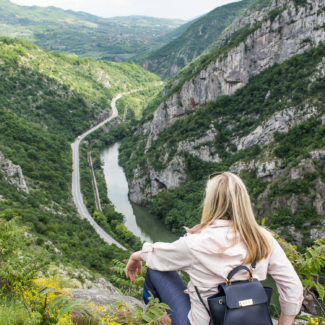 First, I recommend getting a travel insurance that covers medical evacuation. Better be safe than sorry. Next, make sure you have any medication you need. 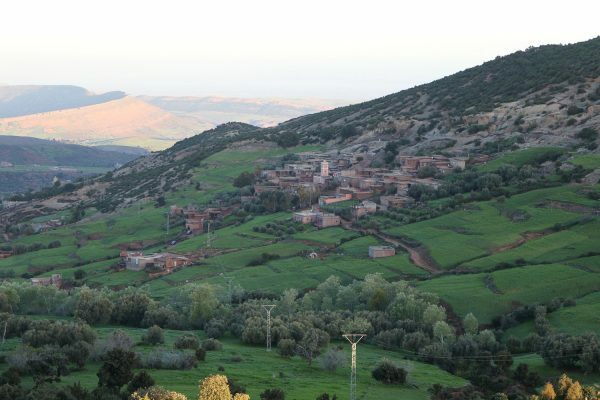 If you get car sick be prepared for a twisty turny ride through the Atlas Mountains. 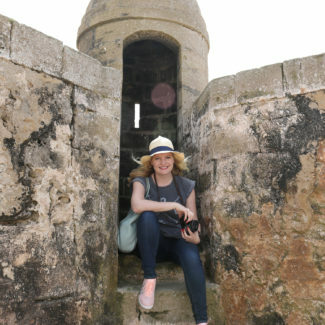 Wipes and hand sanitizer are musts, as are hats, sunglasses, and sunscreen. For women, bringing tampons isn’t a bad idea either. You will also want a sesh, which is a turban cloth. 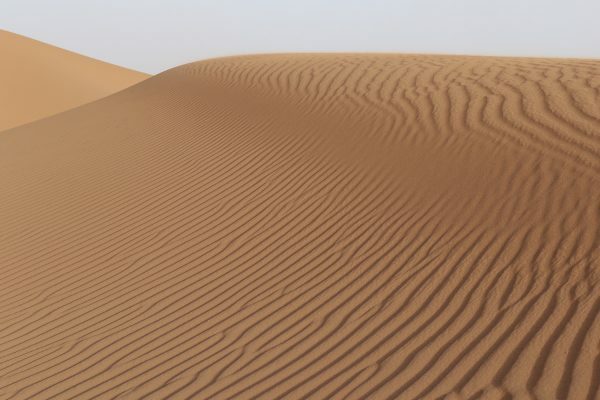 You can stop to buy them on the way to the desert and your guides will show you how to put on a turban to prevent sand from getting into your eyes, nose, and mouth. Kelly bought us rain sleeves for our cameras, which helped protect them from getting filled with sand. 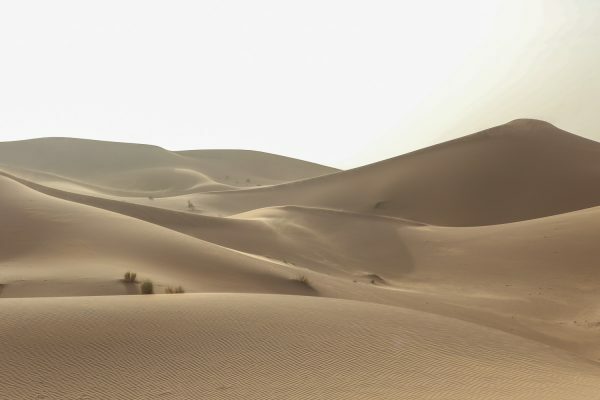 The desert is hot during the day and it can be very cold at night. The heat is a very dry heat, it wasn’t like we were dripping in sweat. I was there at the end of March, and it did get chilly at night – there was a little frost on my contacts one morning. You want layers – especially for sleeping. 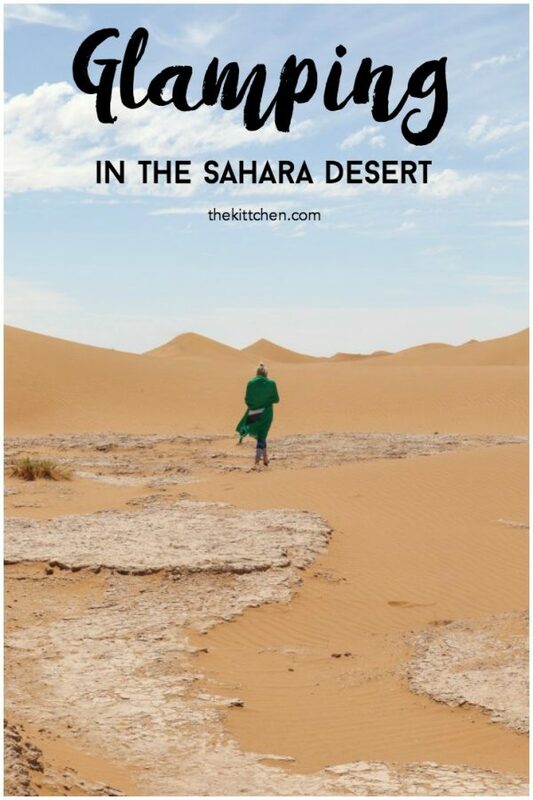 I am assuming you wouldn’t land in Morocco and head straight to the desert. 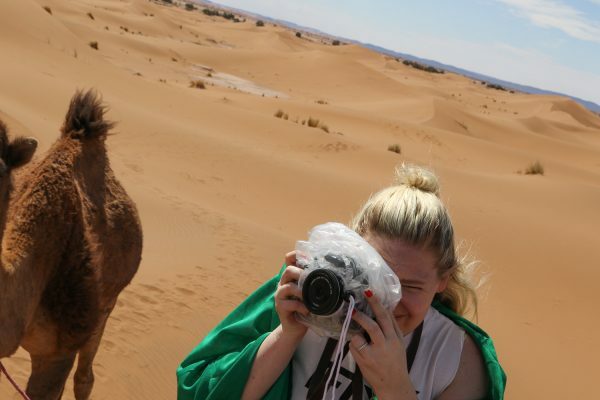 Stay in Marrakech somewhere for a night, and then bring only a small bag to the desert. We left all of our other luggage at our hotel in Marrakesh. This will limit how much of your stuff gets sandy. The sand does get everywhere on a windy day… and lots of it got in our hair. Another reason to wear a turban. As a final note, Kelly and I were a little worried about how our Mom would handle the desert, but she was so glad that she came with us. She was definitely ready to leave after two nights, but she loved the experience. 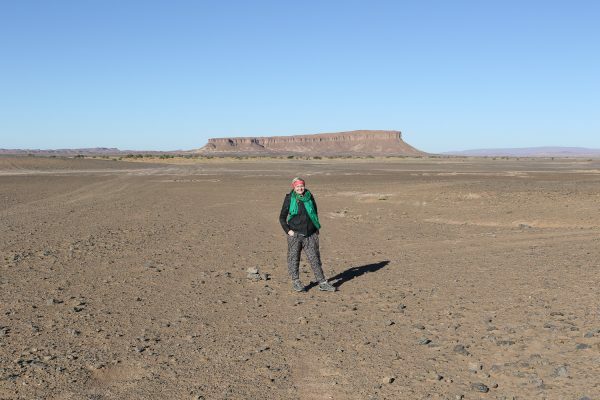 Next week I will be telling you more about what we did while we were in the Sahara. You can learn more about the Erg Chigaga Luxury Desert Camp here. I recommend going for at least 2 nights, and I think that 3 nights would be best.